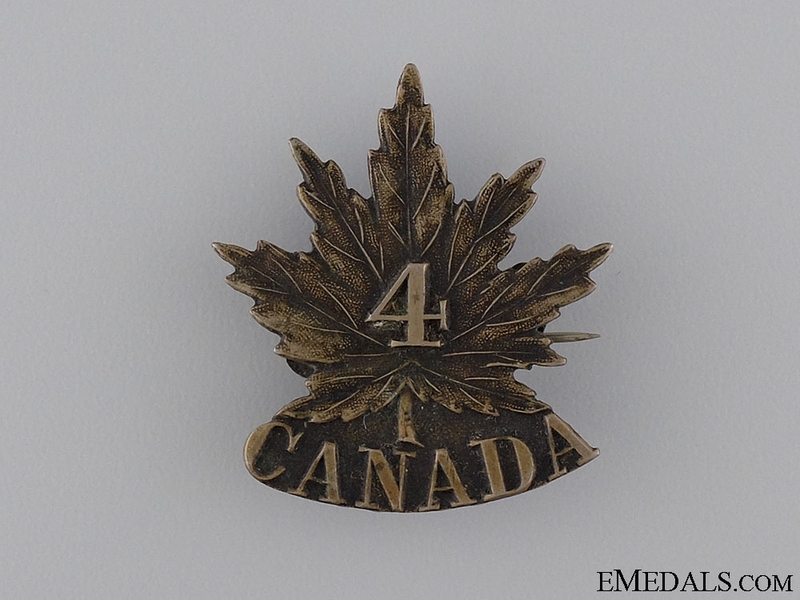 A First War 4th Infantry Battalion Cap Badge CEF - White metal, unmarked, 33 mm x 37 mm, horizontal pinback, light contact, near extremely fine. Footnote: The Battalion was raised in Central Ontario with mobilization headquarters at Camp Valcartier, Quebec under the authority of P.C.O. 2067, August 6, 1914. 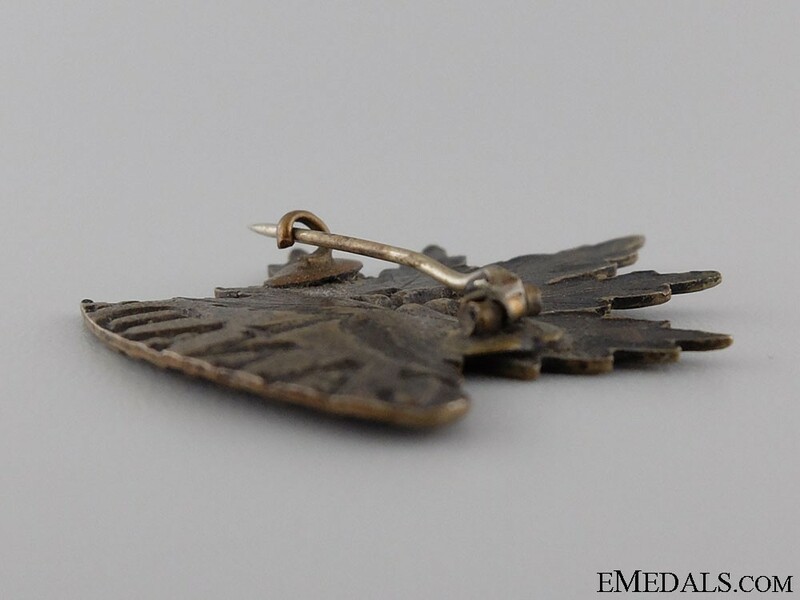 The Battalion sailed October 3, 1914 under the command of Lieutenant-Colonel R.H. Labatt, with a strength of 42 officers and 1,084 other ranks. 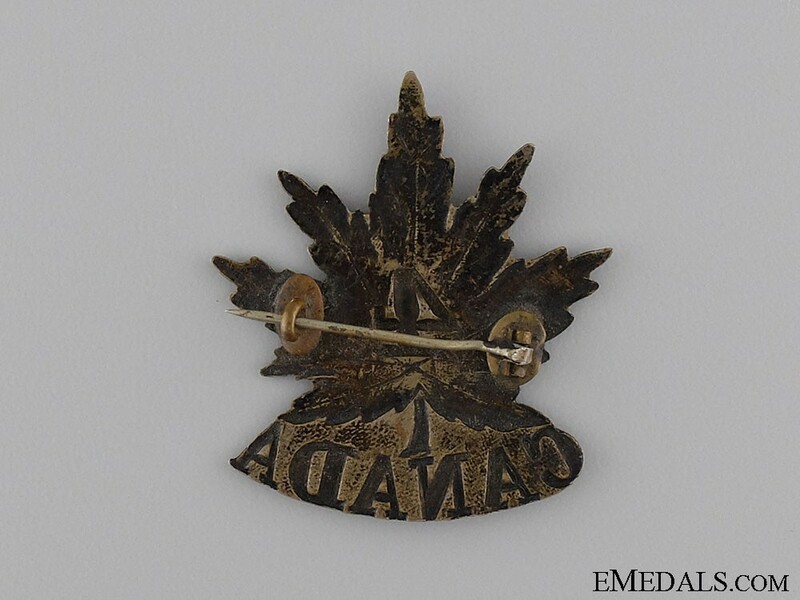 The Battalion served in France and Belgium with the 1st Infantry Brigade, 1st Canadian Division. It was disbanded on September 15, 1920.